I will be at the Leighton Art Centre Nov 4/17 1-4pm. Would love to see you! The Christmas in the Country Art Sale is runs for 2 weekends November 4,5 and 11,12, 2017. 10am-4pm. Discover more than a hundred local artists and get all you holiday shopping done in one unique place. 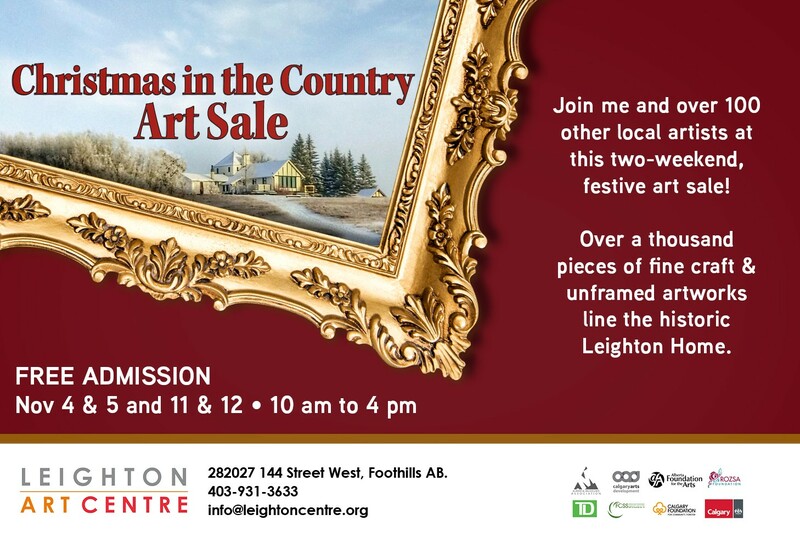 The Leighton Art Centre is located just south of Calgary. It’s a very pretty country drive. 282027 144 St West, Foothills, AB.